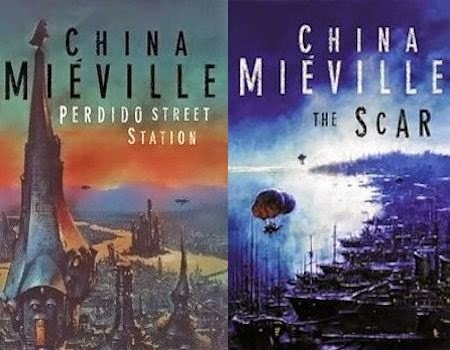 As longtime readers of The Speculative Scotsman will be well aware, China Mieville is one of my very favourite authors, and The Scar is far and away my favourite of his exquisite fictions. But there was a time when I hadn't a clue that this book existed—that this was an author I'd be interested in. I still remember the moment I became aware of both. Anyway, whilst waiting in line to meet the man, I spent quite a bit of time admiring the Science Fiction & Fantasy section of the store. Mostly I could see spines, but a few of the books were faced out, the better to attract the attention of eejits like me. My eye was drawn to a little book called Perdido Street Station in particular. The cover art was extraordinary, I thought. Weird and wonderful. That said, even then I knew not to judge a book by its cover, so I made a mental note to read a bit about the book when I could. Weeks passed—months, even—before I took the plunge and bought a copy alongside what has become one of my most prized possessions: a first edition hardcover of The Scar. Both books had incredible covers by a man called Edward Miller (aka Les Edwards), and if I'm honest, I don't know that I'd have discovered China Mieville—certainly not so early on—were it not for his lavish art. Tor have long since dispensed with Miller's services, I'm sorry to say, in favour of the icons that adorn the award-winning author's back catalogue today. 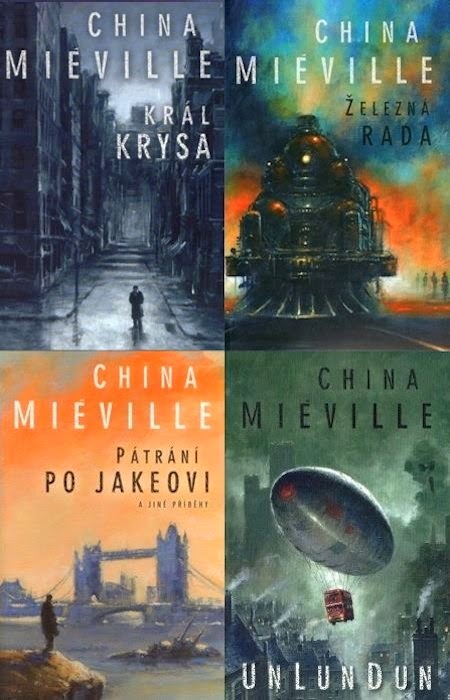 But whilst researching some stories for this week's edition of the British Genre Fiction Focus, I came across a blog called Out There Books, and on that blog, a post about the Czech cover art of Mieville's ten texts to date. Evidently, Edward Miller has been keeping busy. Feast your eyes on these, readers! A thousand thanks to Tom for alerting me to these Mieville-related paintings. They've made me a very happy man... albeit rather nostalgic. Oh, the good old days, eh? But those covers. They are gorgeous and, for me, what the world of Bas-Lag is all about, it's a shame that Edward Miller isn't still producing these for Tor (although the new covers do a fine job of bridging that gap between genre and literary fiction which can't be a bad thing). Those covers are awesome. 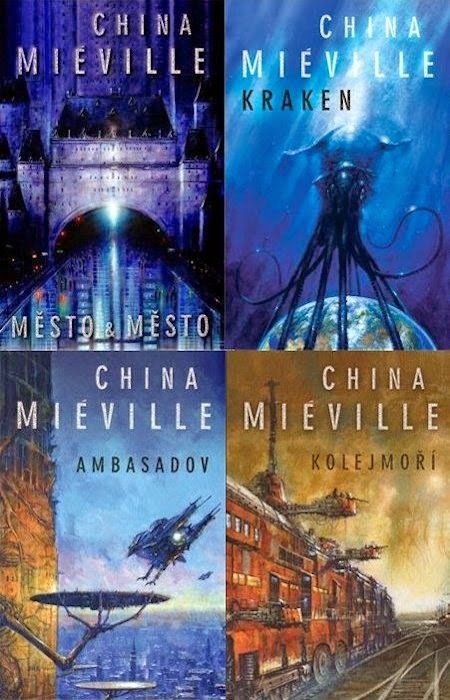 And while I have heard of Mr. Mieville I have yet to read any of his work. I'll have to fix that! Edward Miller is a genius! Great cover art!